Gray is a professional football player and has it all - a housekeeper who cooks pretty darn good, money, fame and the pick of any girl. But when this has-it-all man begins to get threatening letters and death threats, it appears he now also has a stalker. His team hires a 24/7 bodyguard to keep him safe, but when Gray learns that it's a woman (Dru Porter), who looks nothing like the kind of person who could save him in a crisis, he's more then a little skeptical. Despite Gray's doubts, Dru is a former Marine, an expert with the gun and black belt, but with Gray, she just may have her hands full. She's determined to find his stalker and avoid anything romantic between them, which is advised in her line of work. Yet the more Dru learns about this handsome football player, the more she realizes just how much of her heart he holds. I've never read anything from Becky Wade before but have heard lots of good things and decided to give it a try. I found that this not only Hallmark Movie quality stuff with sweet romance and make-you-smile moments, but also with a dash of suspense. It is a beautiful combination! There is apparently more books before this, and while I've never read them before, it wasn't hard to get into "Her One and Only". While reading this we go to other characters points of view from the past books but again I never had any trouble reading the book! Dru is definitely my favorite and I really enjoyed her journey throughout the story! I love strong, female characters and she is the real deal. She could knock Gray down to size if need be, win any target practice and is guarding him from harm - usually in any book it would be the other way around which made this a unique read. I love the writing style, love Gray and Dru's relationship - I love the whole plot! However, one thing that I didn't agree with completely was the fact that Dru said she wouldn't date a man who wasn't a Christian but by the middle of the book she is. This was the kind of thing the movie and book Old Fashioned went with (non Christian finally get's to date Christian), and I don't really like it when that part of their resolve breaks. It went against Dru's convictions in the first few chapters and here I didn't want her to falter there. Other then that I loved the ending, and while the stalker was a bit more predictable then a Lynette Eason or Terri Blackstock novel, everything else was fantastic and I didn't really care who the stalker was haha. Overall this is a must read for fans of Melissa Tagg (a favorite author of mine) and is a must on rainy days when you need a little sunshine and some Christian fiction! It IS amazing - I hope you enjoy it as much as I did!!!! 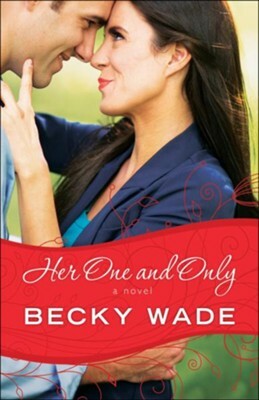 I think I'm going to check out more of Becky Wade's books at my local library because I've recently seen one or two there.